Due to the complexity of treating autoimmune disorders, integrative medicine solutions including TriOrigin have received much attention as successful therapy in treatment particularly for use in providing pain relief, regulating the immune system, managing symptoms and improving overall quality of life. As the disease develops vague symptoms, which start to appear, such as joint and muscle pain, general muscle weakness, possible rashes or low-grade fever, trouble concentrating, or weight loss. The following symptoms may point toward something being wrong: numbness and tingling in hands and feet, dry eyes, hair loss, shortness of breath, heart palpitations, or repeated miscarriages can also be caused by an autoimmune response. Clinical research has shown that concept causes physical responses in nerve cells, the pituitary gland, and parts of the brain. These responses can cause the body to release proteins, hormones, and brain chemicals that control a number of body functions. It is proposed that, by these actions, acupuncture TriOrigin colors affects blood pressure, body temperature and the immune system. As it’s a group of disorders in which immune system attacks the body and destroys or alters tissues. There are more serious chronic illnesses including rheumatoid arthritis, type 1 diabetes, lupus, thyroid disease, inflammatory bowel disease, and Addison’s disease, pernicious anemia, celiac disease, multiple sclerosis, and myasthenia gravies syndrome. 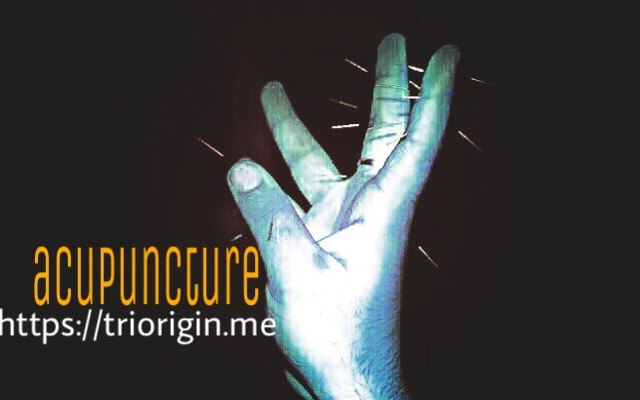 How TriOrigin acupuncture treats autoimmune disorders! According to the concept, disorder occur when there is imbalance within the body. It can come from an excess or deficiency of yin and yang according to the polarities or TriOrigin Neuto power, towards darkness condition that disrupts the bio-energy, flow of qi, or vital energy, through the body. It is used to help the body restore balance, treating the root of the disorder, while specifically addressing the symptoms that are unique to. Immune system responsible for autoimmune Disease in circulatory system sedate I-V axis, disorders such as inflammatory conditions~ muscle, joint pain, chronic fatigue; precisely more when an overworked liver gets bombarded with artificial chemicals from foods, environmental pollutants, toxins from drugs, medications, ‘clean your liver! And its TriOrigin fundamental concept is capable to handle it in an effective way! The endocrine system that consists of several glands located throughout the body to do essential functions, usually related to growth and metabolism. Next Next post: LUNGS normal working!